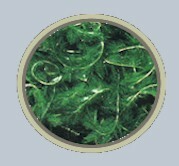 A feathery submerged aquatic plant that can quickly form thick mats in shallow areas of lakes and rivers. These mats interfere with swimming, boating, fishing, and waterfowl hunting. 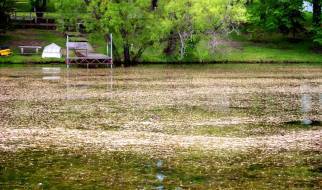 Matted milfoil displaces native aquatic plants impacting fish and wildlife. Discovered in the 1940's in North America, it has invaded nearly every US state and at lease three Canadian provinces. The MN DNR's experience using herbicides to eradicate milfoil is consistent with experience elsewhere, which indicates that efforts to eradicate this invasive with herbicides are "...rarely, if ever, likely to succeed."